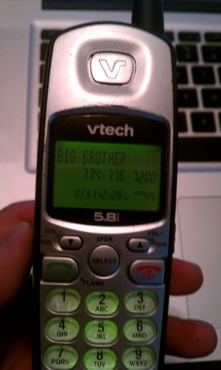 A phone service that displays a caller's phone number and often their name before the call is answered. This requires a device where that information can be displayed. Often the phone itself has that capability. Otherwise a separate box can be purchased. Caller ID on a landline has an initial startup fee and a monthly payment of $3 to $10. Caller ID is provided automatically to cell phones at no additional cost.